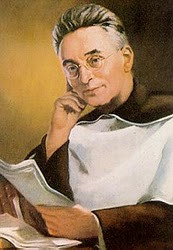 I have occasionally wondered whether I write too many cat posts.However, whenever I suggest that I might stop, the feedback is overwhelmingly in support of my continuing kitty updates, from the Kitty Kill Count in the sidebar (which does not show up in RSS feeds, unfortunately) to health updates and general reports and photos of the antics of Cardinal Furretti and Monsignor Miaowrini. 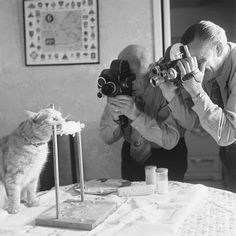 Our fascination with cats is enough of a phenomenon to make advertising agencies sit up and take notice. Ikea, the Swedish furniture chain, even went as far as running an "experiment" with 100 cats let loose overnight in one of its stores - and then used the resulting film footage for an advertising campaign. The idea that cats provide good PR has even got through to our political masters. 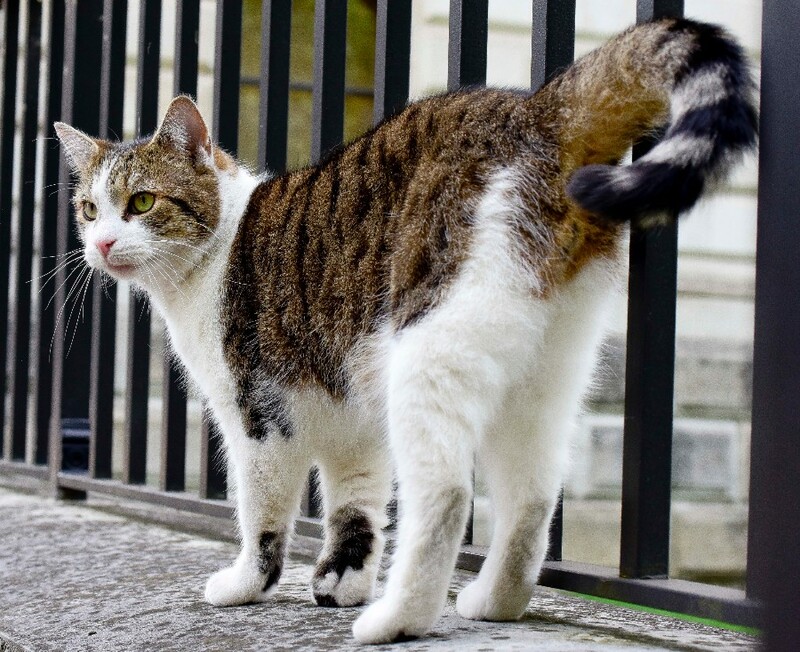 Larry, the Chief Mouser to the Cabinet Office at Number 10, has his own Twitter account. Journalists in papers such as The Telegraph report on Larry's (in)famous lack of application at his mouse-catching task (last I heard, he'd caught two) but the fur really flew when, in the recent political upheavals, it was suggested that David Cameron was leaving Larry behind because he had never really liked the cat. Forget the fact that the Prime Minister of Great Britain had resigned and was being replaced after the Brexit referendum. The really important political question was whether David Cameron was a heartless monster who disliked cats... 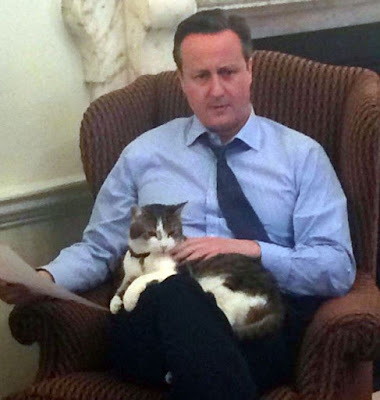 I'm not joking - in his last PMQs, David Cameron actually went so far as to deny the accusation and brandish a photo of himself with the cat on his lap as proof of his kitty-loving credentials. Personally I am unconvinced - he doesn't look at all comfortable, though Larry looks happy enough. 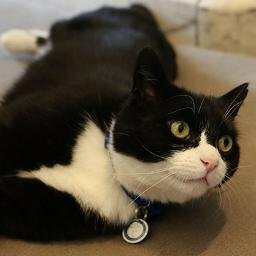 Other government departments decided to get cats to deal with the rodents in the buildings - and were quick to set up Twitter accounts and Instagram pages. Cats are good for PR. 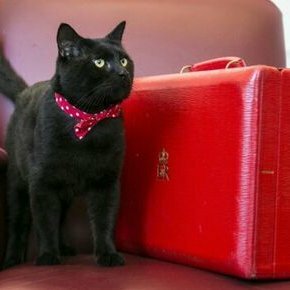 So now we have Palmerston, the Foreign Office cat (he has three Twitter accounts - @DiploMog being the official one along with @PalmerstonFOCat and @PalmerstonCat ) and Gladstone, Chief Mouser to the Treasury (two accounts - @HMTreasuryCat and @GladstoneCat ). 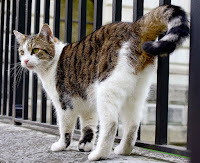 Given that the cats can't take photos or tweet for themselves, it suggests that some of our civil servants have been given this task... and not a single soul of any political persuasion has protested. 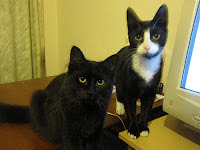 They know there would be uproar from the public if the kitty updates were stopped. And now it appears that the National Trust has decided cats are an aid to increasing visitor numbers at its properties... people want to see the cats, and are willing to explore the stately homes and gardens in search of the famous felines. 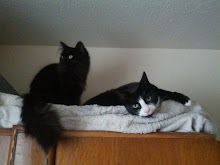 So what is so fascinating about cats? 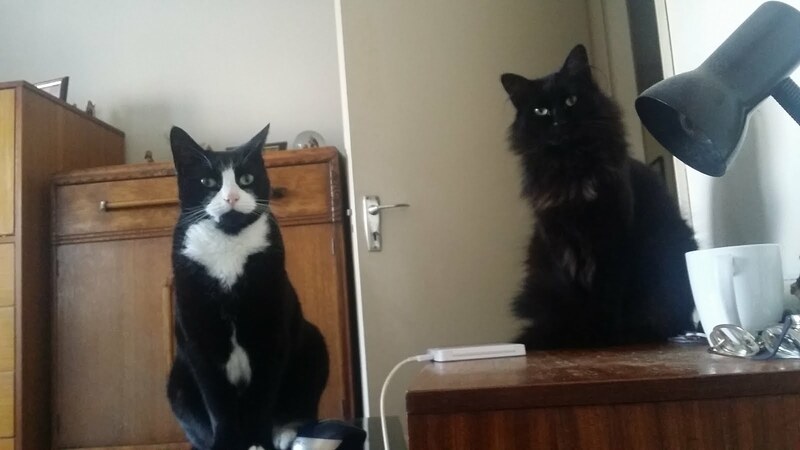 Dogs have owners; cats have slaves.